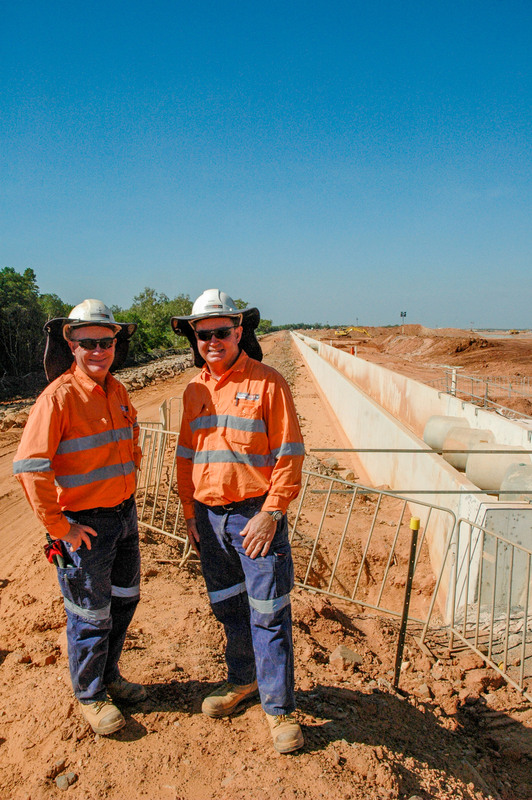 When Australian firm Baldwin Civil NT was approached about constructing a regulating reservoir as part of the new Inpex natural gas project in the Northern Territory, they didn’t even know if it was possible to slipform a 2.1 m (6 ft 10 in) high wall. So David, along with his brother and business partner John, called Power Curbers for help. “Power Curbers was the first call we made and we got a very positive and professional response. Within a short time we had the drawings and they said ‘we can do it.’ We took a trip to North Carolina and purchased the machines,” David said. 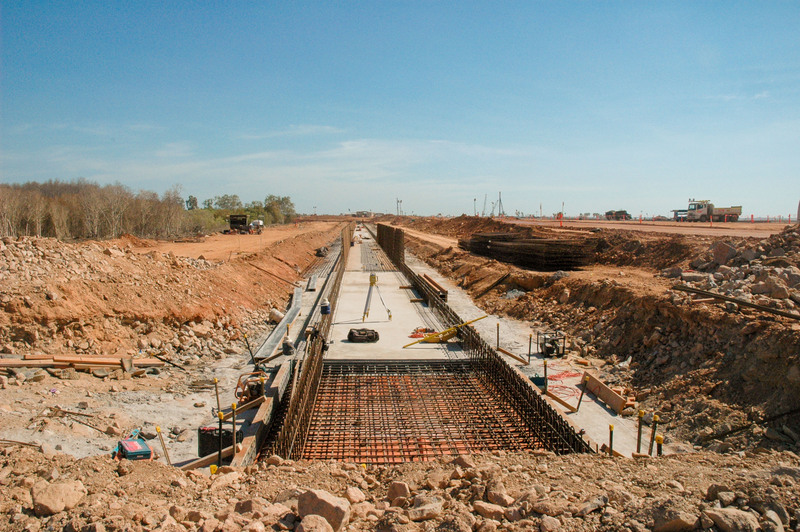 The canal was built using a three-pass operation: first, the 3.8 m (12 ft 5.5 in) base was poured with a 5700-C-MAX using a custom paving mold that allowed reinforcement anchors to protrude through the concrete for tying in the canal walls. 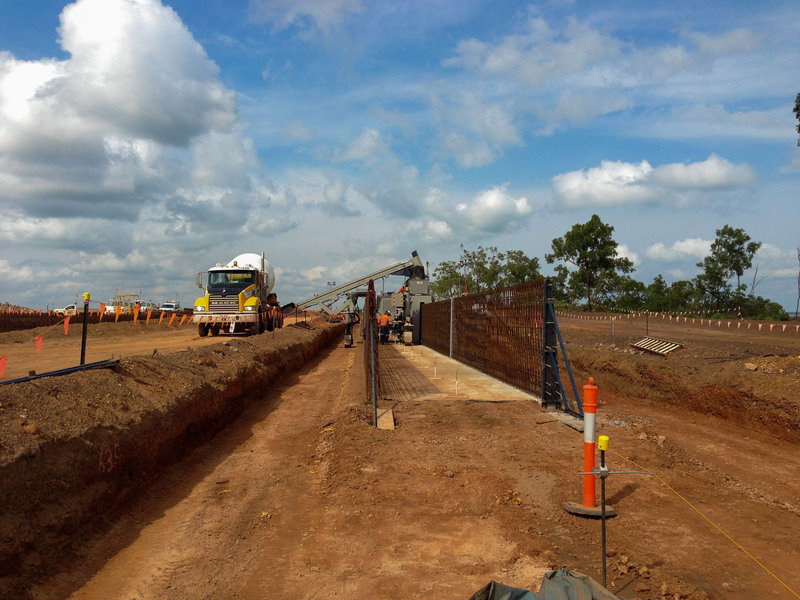 Then, each 2.1 m side wall was poured over steel reinforcements to complete the canal, which will funnel stormwater runoff through 226 outflow pipes and filter it back into Darwin Harbor. This unique application called for creative engineering and detailed planning. The two 5700-C-MAX machines Baldwin chose were perfect for such a project because of their versatility and the ability to customize the features to suit the job. 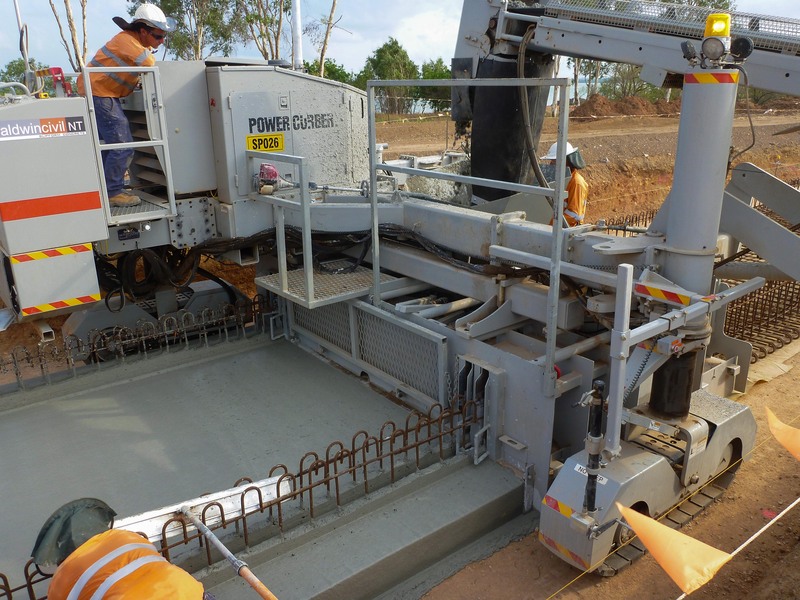 A custom-engineered straddle leg allowed the machine to fit inside the canal to pour the side walls, and the C-MAX was also heavy enough to handle the massive mold for pouring the base of the canal. 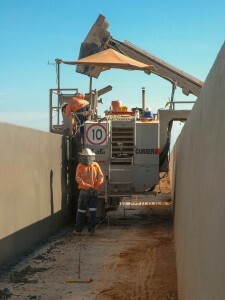 A custom-designed belt conveyor was also needed to feed the concrete to the hopper on top of the tall barrier mold. “Power Curbers, with their team of engineers, came up with the right mold on the first go and we’ve had great success,” said David. 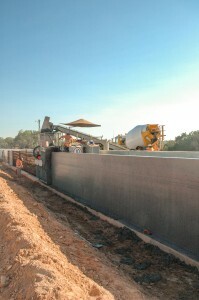 After perfecting the concrete mix, the 21-person crew produced a high-quality product that required little finishing. Their records for a single day’s pours were 274 m on the wall and 251 m on the base. 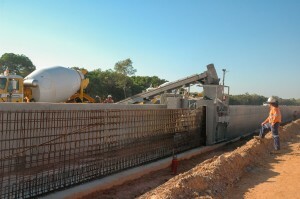 In total, they poured over 15,600 linear meters (51,151 ft) of concrete. 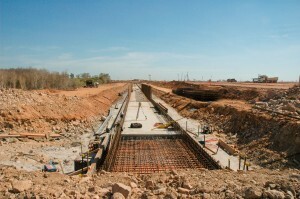 “For us, the slipform process has been quite successful. Using slipforming has really accelerated the process for us and it’s worked out really well,” said John. The Inpex project itself is an undertaking of grand proportions. Natural gas will be collected from the Ichthys Field in the Timor Sea off the northwest coast of Western Australia and transported through a 42” subsea pipeline more than 885 kilometers (550 miles) to the onshore LNG (liquefied natural gas) processing plant at Blaydin Point near the city of Darwin. It will be the longest offshore gas pipeline in the southern region and the fifth longest in the world. The project is expected to produce 8.4 million metric tons of LNG per year.